For the last year, I’ve felt this yearning to do something different. I’ve been a full-time faculty member for a decade now, teaching many of the same courses semester after semester after semester after … yeah, well, you get it. A series of conferences and events in the last 6 months has made me realize that my “alignment” between my passions and my job was off. I attended the UpToAllOfUs un-conference in February, and felt a strong pull to do something different, something more amazing. I attended the TEDxSummit in April, and coming back to work was like a rude awakening after being in a liquid network of ideas for 5 days. And then I attended the LAK conference and really just felt unsettled about how I was spending my time. Since I began blogging in 2007, I’ve learned about so many things in my free time: education technology, the scholarship of teaching and learning, social media, data visualizations, professional development for faculty, higher education, leadership, learning analytics, eLearning strategies, game design, writing, speaking, technology for productivity, mobile apps, and … well, probably a lot of things that aren’t coming to mind right now. In this decade I’ve finished a Ph.D., made a name for myself as a futurist, and connected with instructors, innovators, and futurists around the world. Now, the time has come to shed one identity (math faculty) and take on a new one. It’s actually an identity I’ve been donning in my “free” time for a while now, I’m just shifting the focus to it full-time now. I have accepted a position as the Director of Learning and Research at Instructure (they build the Canvas learning platform), in Sandy, Utah. The position will give me a chance to grow professionally, to use all the skills I’ve learned in the last five years, to work with some really amazing, talented, and energetic people, and (bonus) I get to move back to the mountains. 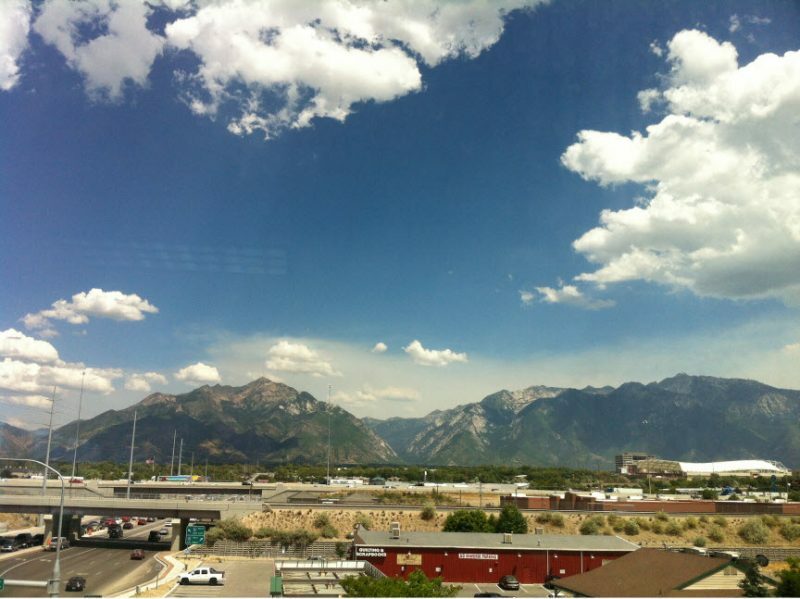 The view from the Instructure building. Why Instructure? After all my complaining (for years) about the state of the LMS market, I began using Canvas in May and fell head-over-heels in love with it. It is, by far, the best learning platform I’ve ever seen, and Instructure is innovating like mad. I have always said I’d know the right job when I saw it, and this is it! I want, more than anything, to help Instructure to build and spread the best learning platform the world has ever seen, and I am super-excited to get started.